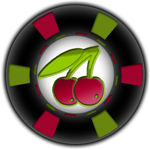 You can contact me with any questions or suggestions you have considering online casinos, video slots and other casino games. My email address is patrick@slots-casino.co.uk. I will do my best to answer your questions ASAP!